Tips to for your lawn to survive the winter! It’s been a long, cold, and harsh winter. Time to wake up because spring is right around the corner! Snow is melting away and everything is coming back to life. The major problem we face after winter is weed growth. You see, weeds have the ability to recover and grow much faster than grass does. If action is not taken, the weeds will quickly take over your lawn, leaving you with one giant mess to take care of. Don’t sit back and hope that your lawn will grow back to a good state. Take action and follow these steps to guarantee that your lawn will bounce back from the winter blues! 1. Use pre-emerging weed killer as soon as possible at winters end. This will stop any potential weeds that want to sprout from out of the ground. Make sure that is the pre-emerging type, as not all weed killers are the same and this is the only kind that will actually prevent weed growth from the start. 2. Start watering the grass once it begins growing again. Usually two good watering sessions a week will suffice during this time. 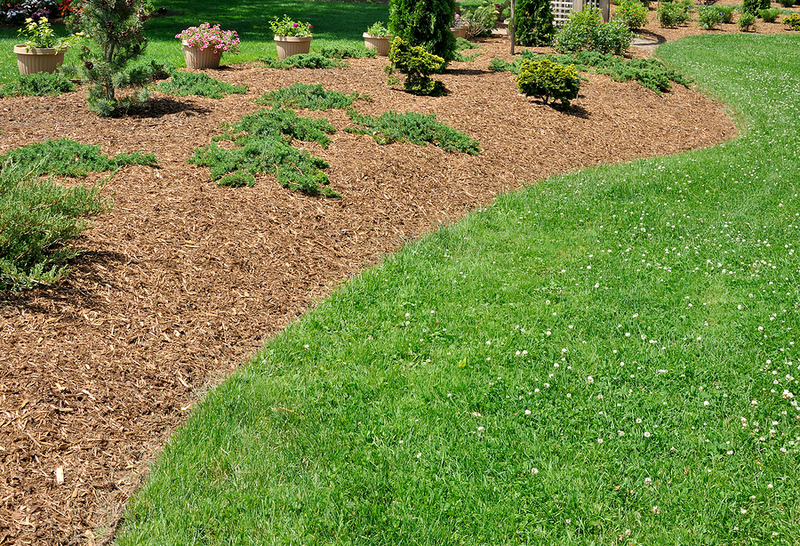 This will get the grass growing nice and thick again while also establishing good roots in the ground to prepare your lawn for the hot summer days. 3. 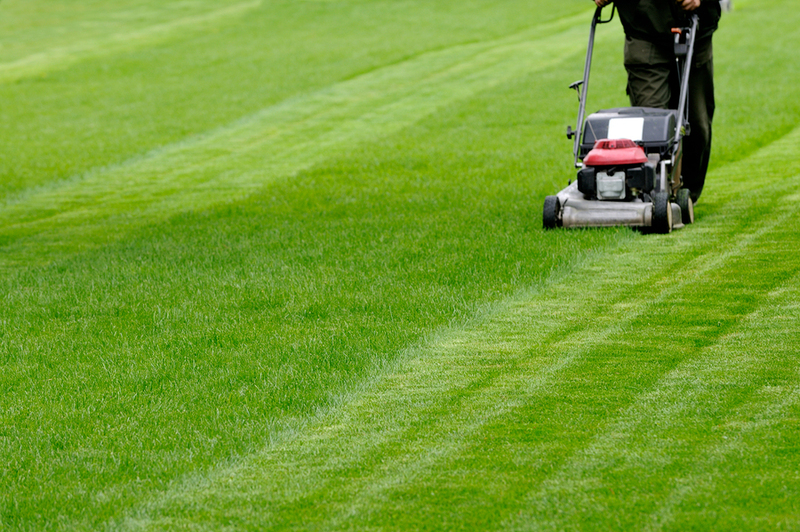 Give your lawn a couple of mows before you begin fertilizing. When you do fertilize for that first time, apply a light application. We don’t want to over fertilize during this time and promote weed growth. Make sure to water after each fertilization if rain is not on its way. 4. You are likely to come across some dead patches of grass once winter ends. Have no fear; this can be an easy fix. Start by quickly watering the bare spot then use a rake to disturb and wake up the soil. After these steps, lay down the grass seed then cover it all with less than a half inch of soil. Be sure you water this area more than usual, about 3 times a day is a good mark. Continue this until you spot new grass growth. 5. Don’t be in such a hurry to mow your lawn. We know you are itching to get out on that new mower you bought! However, it is best to let the grass grow to at least 3 inches before giving its first cut of the season. Focus on all the dead areas and getting the grass growing first. 6. Be picky about choosing your grass seed. Different spreads will work better under certain conditions. For example, the seed you choose for an area that is heavily shaded will be different than one that catches a lot of sunlight. Know your grass, or what kind of grass your lawn needs, and seed accordingly. Be excited that spring is finally back! Now get out there and revive your dormant lawn by following these simple steps. 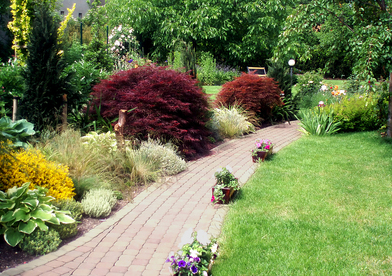 You’ll have your lawn looking green, thick, and beautiful again in no time at all! Should you go with artificial turf?